We've all been there. You're trying to coordinate a meeting with a person (or worse, multiple people! ), someone doesn't respond, you forget about it, and the meeting never happens. Even though it's a very important meeting, it gets dropped on one end or the other because you're a busy person and everything is important! You've tried those online scheduling apps, but they're so impersonal. Plus, there are often technical issues that cause wrong time zones or lost invites. Isn't there a better way? There IS a better way: delegate your calendar to your assistant! I know what you're thinking - that sounds scary. But, with a good assistant, this can be a tremendous help (and productivity booster!). So, how do you do it? Start by sharing your calendar. The easiest way to do this is through Google Calendar, a time-management web application that can be shared with virtually anyone. You’re required to have a Google account in order to use the app, which takes minutes to create. After creating a calendar, click on the arrow to the right of the calendar and select “Share this Calendar.” Then, add your recipient’s email addresses to the “Share with Specific People” box on the pop-up. You have the ability to decide how much control each individual person can have over the calendar and its events, ranging from the ability to make absolute changes to only being able to see the location, date and notes. 2. Keep your calendar updated with times you are busy. Your assistant will need to know what times are off limits for scheduling. If you like to eat lunch at a certain time, make sure it's on your calendar. If you start and stop working at certain times, make sure this is communicated in some way to your assistant. She will only know these off-limits times if you communicate them in some way, either on your calendar or instructed. And this includes personal events as well! You don't want your assistant scheduling a business meeting during your child's soccer game. The success of your time management lies on your ability to cross-reference your calendars. Make sure that you frequently update your personal calendar as much as you do your work one. Be sure that you’re marking in vacations and personal holidays as well as smaller occasions. You may be able to remember these things without them being in your calendar, but your assistant won't know about them unless they're there. Now the fun part begins. When you need to schedule something with someone, simply send an email to that person and cc your assistant. Add a line at the end of the email that says, "I'm cc-ing my assistant, who will help coordinate this meeting." Now your assistant can take over the back and forth of scheduling the meeting, adding it to your calendar, and sending invites. 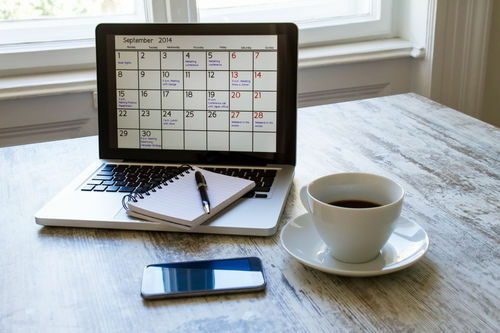 If you've already coordinated a meeting/event (say in person), let your assistant know via email so she can ensure it's on your calendar and has all the required information. Your assistant will likely drop you from the email chain to work on coordinating the meeting so you don't have an inbox flooded with emails you don't need. A good assistant will follow up with an unresponsive person every couple days (she should have a reminder system in place). If no response is received after 3 attempts, she should email you to see if you'd like her to keep trying. Setting these expectations at the beginning will let you be able to trust your assistant to handle it without you having to worry about it.You don't have to do it all yourself! Let your assistant handle coordinating meetings for you and see how you like it. I guarantee once you get into a groove, you'll wonder how you ever lived without it!